Australia is a great place to float in a hot air balloon and offers numerous venues to take to the skies. With its superb climate, clear skies and stunning landscapes, Australia is an ideal destination for hot air balloon tours, and there is no shortage of destinations to consider. The area around Alice Springs in the Northern Territory remains a firm favourite thanks to its distinct red earth and rocky outcrops that sit amid a desolate, untouched landscape. There is no better way to see iconic Ayer’s Rock and this haven of Aboriginal culture. In fact, with so few people around and little in the way of transport options, hot air ballooning in Australia is entirely necessary if you want to view certain parts of the huge outcrop. Other popular destinations for hot air ballooning in Australia include Brisbane, where brave passengers can be taken to see out to the craggy Glasshouse Mountains, the islands just off Moreton Bay and the popular Gold Coast. It is also possible to see Canberra from a balloon. Although the capital is not often thought of as an outdoor pursuit city, the scenic periphery, made up of the Namadgi National Park and the northernmost stretch of the Australian Alps, is among the premier destinations for hot air ballooning in Australia. Besides these main haunts, there are also ballooning options across the country, from Western Australia to the Northern Territory and down all the way to Victoria. For the most dramatic experience, make sure to book a hot air ballooning in Australia tour for sunset or sunrise when the light makes any landscape look majestic. Hunter Valley: Balloon Safaris fly daily all year over the beautiful vines of the Hunter Valley and offer in-flight photography and complimentary Balloonist’s Breakfast. Passengers receive a full colour personalised flight certificate and a gift pack with discounts and offers to local attractions. Lachlan Valley: Experience the beauty of the picturesque Lachlan Valley – Cowra, Canowindra and Orange Region from the peace and tranquillity of a Hot Air Balloon. Hunter Valley: Australia’s original, award winning and most experienced ballooning company, having been operating for over 23 years. Flight over Hunter Valley and Camden with views of the Sydney Skyline and the Blue Mountains Skyline followed followed by chilled Champagne and fruit juice. Brisbane: Balloons over Brisbane introduces you to Hot Air Ballooning at its best! Once in the air, floating over Brisbane in their Hot Air Balloon, it is often possible to see the magnificent Glasshouse Mountains to the north and the fabulous Gold Coast to the south. Gold Coast: Join Balloon Down Under for the romance and adventure of a memorable one hour hot air balloon flight over the beautiful Gold Coast and Hinterland. Clean air and stunning views from Brisbane to Byron Bay make this one of the premier ballooning areas in Australia. 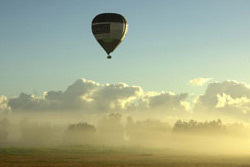 South East Queensland: Experience South East Queensland’s only ‘City and Country hot air balloon flight’! Go ballooning with Floating Images, South East Queensland’s only balloon operator offering this unique city and country balloon flight. Only 40 minutes from downtown Brisbane. Brisbane: Fly Me to the Moon offer hot air balloon flights over Brisbane City. Take off is just after daybreak when the air is mild and still. The balloon usually travels 10 to 15 kilometres during the flight. A Four Wheel Drive vehicle which is in contact with the balloon, follows you to your landing site. Cairns: Experience the wonder, romance and silence of a hot air balloon ride. Taking off daily from Cairns to Port Douglas, come fly with them, the hot air ballooning capital of the southern hemisphere. It’s just like a balloon festival every day so book today for memories to last a lifetime. Gold Coast: Float like a cloud as you witness the sunrise climbing over the unforgettable panorama of Surfers Paradise. Watch the sun reflecting off the myriad of canals and waterways and view the surrounding forest covered mountains of the Gold Coast Hinterland – this is truly the most spectacular flying area in Australia. Melbourne: Enjoy the thrill of hot air ballooning over Melbourne at sunrise with Melbourne’s most experienced hot air balloon ride team. Melbourne by hot air balloon provides the ultimate in urban adventure leaving you with a lifetime of memories to share with family and friends. 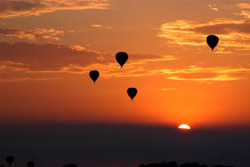 Melbourne: A sunrise balloon flight over Melbourne is a truly remarkable experience. There are few major cities in the world that can be traversed by hot air balloon and there certainly is no better way to take in Australia’s second largest city. Mildura: Mildura with it’s vineyards, orchards, lakes and rivers, combined with stable weather patterns, makes it an excellent location to enjoy the oldest form of free flight. Mildura is the perfect place to go ballooning as our westerly location makes our wake time for ballooning the latest in Australia. Melbourne: Stable weather conditions and magnificent scenery provides a unique opportunity to experience the wonders of flight from a hot air balloon over the city of Melbourne and the picturesque Yarra Valley. After a stunning 1 hour balloon flight, enjoy a 5-Star gourmet champagne breakfast at Balgownie Estate Winery Yarra Valley or the Grand Hyatt Melbourne. Adelaide: Enjoy a hot air balloon flight over Strathalbyn and district, with a cooked post flight breakfast. Our pilots are highly qualified and experienced with personality plus. A must for all ages. Barossa Valley: Share in the excitement as you help prepare the huge balloon in the calm of dawn, float magically over the picturesque villages and vineyards of the Barossa Valley, toast your return to earth with fine sparkling wine and breakfast with foods of the Barossa. Avon Valley: Imagine floating as slowly as a cloud and looking at the world below. 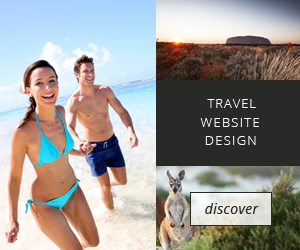 What better way to see some of the most spectacular scenery in Australia. Rolling Hills, the Avon River, the patterns of the country side, both man made and carved out by nature. Avon Valley: Experience the peace and tranquillity of lighter than air flight with the experienced team at Windward Balloon Adventures. Windward conducts champagne balloon flights daily over the picturesque Avon Valley, Western Australia from April to late November. Broome: Watch the spectacular sunrise erupt before you across the blue rim of the horizon revealing the Indian Ocean and Roebuck Bay with Broome in the distance. After an exhilarating decent and smooth landing you are served with a delicious breakfast accompanied with champagne. Alice Springs: Let Spinifex Ballooning introduce the freedom of hot air ballooning. The MacDonnell Ranges are a brilliant backdrop for this flight. A complimentary vehicle will transfer you to and from accommodation, and a delicious breakfast will be served after the flight.